The major dominating community of Himachal Pradesh is the Hindus who include Brahmins, Rajputs, Choudharies, Kannets, Rathis and Kolis. They contribute at least 96% of the total population and the rest are the tribal communities comprising of the Gaddis, Kinnars, gadoun, (jadoun) Tanolis. Gujjars, Pangawals and Lahaulis. Polyandry and polygamy are practices by the Kinnars who are the inhabitants of Kinnaur.A minority of the Muslim community are also seen here who are basically nomads and they are the Gujjars who rear buffaloes. 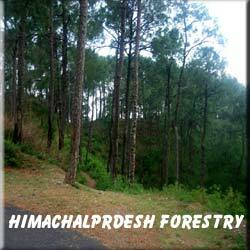 The people of Himachal Pradesh are known for their rich cultural heritage and values. Pahari is the most commonly spoken language by the people, though Hindi is the official language of the state. Pahari is a branch of sanskrit. Apart from Pahari there are other tribal languages spoken in Himachal Pradesh and they are Chambyali, Pangwali, Lahauli, Kinnauri and others. Hinduism is the major religion practiced by the people of Himachal Pradesh and this hilly region being the abode of the Hindu God Shiva and Goddess Parvati, there are lots of temples in this area. Folk music and dances are an integral part of the people of Himachal Pradesh giving way for a rich tradition. Natti is a very famous dance of the people of Kullu which is mainly performed by the men folk with a very colurful attire of short tunics and churidars (tights) and the embroidered Kullu caps.Burah, Birsue and Ghugti are a form of martial dance performed by the people which is performed by the waving of axes and swords. Based on romantic and satirical themes the people of Shimla perform a masked dance. The Bakayang is another famous dance performed by the Kinnauri women fully dressed in their traditional attires with chunky silver jewellery. 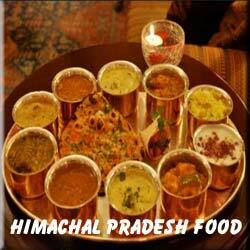 The people of Himachal Pradesh have their customs and traditions pertaining to their communities. The whole village is considered as one single family and the elders of the family are referred by the name Chacha-Tau (uncle), Bhabhi (sister-in-law), Mausi (aunt) or Nani (grandmother) according to their ages. The people value their relationship a lot and treat them with great regards. The Brahmins and the Rajputs very much follow the traditional customs of race, caste, gotra and family and adhere to it. They follow the traditional practice of sending gifts like jewellery and clothes and various other things to the girls' husband's house. It is also taboo for the girl's family members to eat or drink anything in her sasural. They must pay an equivalent sum of money as compensation. This is not practiced in lower caste. The custom of Purdah is strictly followed by the female folk of Himachal Pradesh where they will have to veil their faces in front of all elders. Also once a girl delivers a child she should follow the custom of Pair Bandai where she falls at the feet of elders in the family of her husband and also should place money at their feet. There is also a custom of matchmaking even before a child is born just based on a vague assumption. The polyandrous customs of Kinnaur region also points at the close bond between the brothers. The eldest brother of the family is considered equal to the father. The birth of a girl child is celebrated for they are considered to be as the devi or the goddess of the house and special pujas are offered to the young girls at the time of Navarathri. The costumes of the people of Himachal Pradesh vary depending on the customs and traditions of each community. The Brahmin or the men belonging to the Priest community dress themselves with dhoti, kurta, a turban, a coat or a waist coat, and a small towel that is placed on the shoulders. The people of the Rajput community who are generally descendants of royal families go in for a long and body fit churidar payjama, a starched turban, a long coat and unique shoes with pointed edges. Turban is a must for it isa sign of honour for them. The women folk of this community generally come out with their face closed by veils. However the traditional outfit of the women of Himachal Pradesh is long kurtas, ghaghri, salwars and cholis.The younger generations are getting modernized by going in for western outfits. The scarves worn by the women of this state are very famous. To bear with the cold climate of Himachal Pradesh they wear a special shoe made of dried grass. Shawls are also a must for all the people here to adapt themselves with the freezing cold at times. The shawls, especially the Pashmina shawls from Himachal Pradesh are very popular for their smooth texture, quality and finesse, and are the most stylist expressions of the costumes of Himachal Pradesh. This shawl is made of the hair of a type of goat called Pashmina. The people of Himachal Pradesh are known for their wooden crafts because the region has abundance of trees like Pine, Cedrus deodar, walnut, horse chestnut and wild black mulberry which are used for craft work and carvings of doors, windows, balcony panels, etc.They are also known for metal craft. Antique metal statuettes are one of the most significant aspects in many temples of Himachal Pradesh. The statues of gods and goddesses also appear as mohras or in metal plaques. Household utensils are made using brass which is very famous. They are also involved in making things from bamboo items like boxes, sofas, chairs, baskets and rack. Pashmina shawl and the colourful Himalayan caps are in demand in overseas also. The people of this state are highly influenced by the Punjabi and Tibetan style of food which is quite spicy. But mostly the people opt for the North Indian dishes in their regular meal. The staple food here is Dal and Chawal or plain rice and pulses which are an important form of carbohydrate and protein. Another delicious food of the region is Roti Sabzi or flat pancake like bread made up of wheat and vegetable curry.Sidu made from flour and added with ghee is a favourite of the people of Himachal Pradesh.Patande popularly known as the Indian Pancake of Himachal Pradesh is liked very much by the people. When it comes to meat it is cooked with cardamom, cinnamon, cloves, red chillies and coriander leaves. Some of the common occupations of the people of Himachal Pradesh are agriculture, pastoralism, horticulture, and forestry. There are lots of small scale industries in Himachal Pradesh. These industries mainly deal with turpentine, and resin at Nahan, television sets, fertilizer, beer, and liquor. They also deal agricultural implements. The farmers here cultivate large varieties of fruits like apple, pear, peach, plum, apricot nut and citrus fruits like mango, litchi, guava and strawberry. Lt. Saurabh Kalia -Indian military personnel. Captain Vikram Batra -officer of the Indian Army, posthumously awarded the Param Vir Chakra.